Please Note: Supplied with UK and EU plugs. 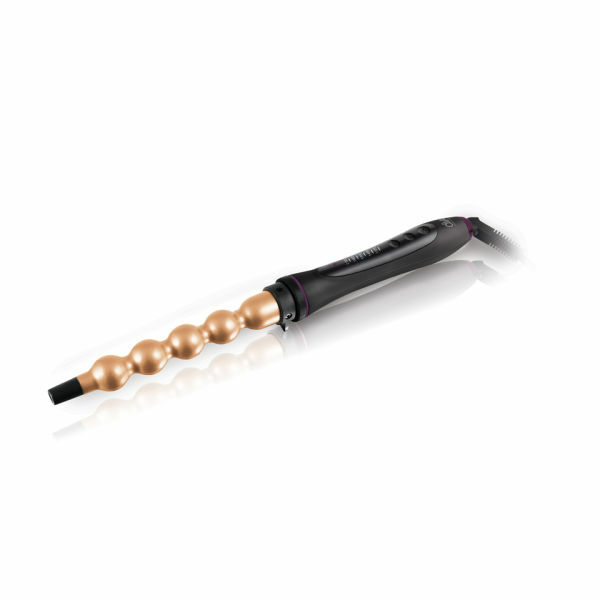 Argan Oil infused, the Feel the Heat Intelligent Digital Argan Beach Curls Wand curls whilst leaving hair looking and feeling sleek and glossy, for a healthier salon finish. Unlike other heated styling tools, the Argan Oil infused wand provides a kinder styling experience, helping to smooth flyaways and provide protection.